This is rubber ring only! 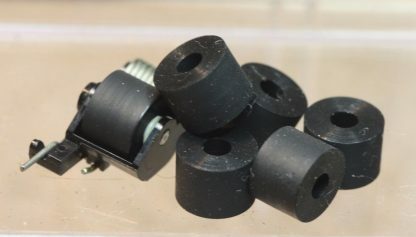 Pinch roller core (hub) is not included. You have to reuse original core to build new pinch roller. 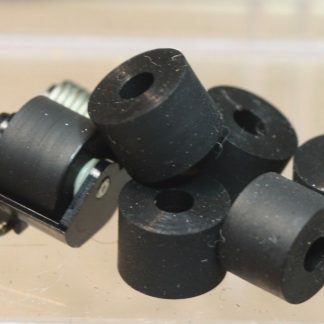 This pinch roller rubber tire solves some common issues of cassette players, like tape eating or curling, azimuths stability issues, tape suddenly stopped, tape plays too slow or too fast, unstable level or high wow/flutter. It is 1:1 replacement of original pinch roller. Quality is the same or better than original. To learn more about pinch rollers, check our article. Unlike modern electronics, Sony WM-F100III was built to last for decades. However, even this player contains some parts that deteriorate and you need to replace them. To fix it, you will need to perform some routine tasks, like replace rubber parts, do cleaning and lubrication. Finally, you should adjust and check azimuth, output level and speed. Read our Instructions section to learn more about repairs.